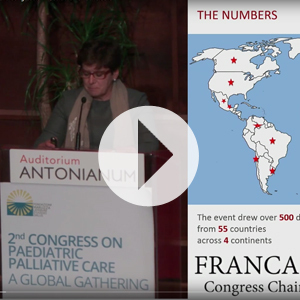 The goal of the 2nd Congress on Paediatric Palliative Care: a Global Gathering is to engage with professionals working with critically ill children worldwide by providing an international forum for interdisciplinary knowledge sharing where experiences, current topics and new perspectives on key issues regarding palliative care for children and their families can be debated, compared and discussed. The congress programme foresees numerous opportunities for professional development and networking: from pre-congress courses, keynote lectures, plenary symposia and abstract-driven presentations. 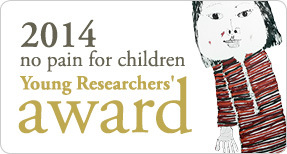 2014 No Pain For Children Award For Excellence In Paediatric Palliative Care will be presented during the congress to the best abstracts submitted by Presenting Authors under the age of 35 years. 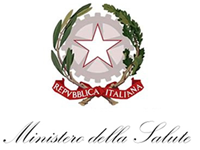 The Italian Council of Ministers, Istituto Superiore di Sanità.